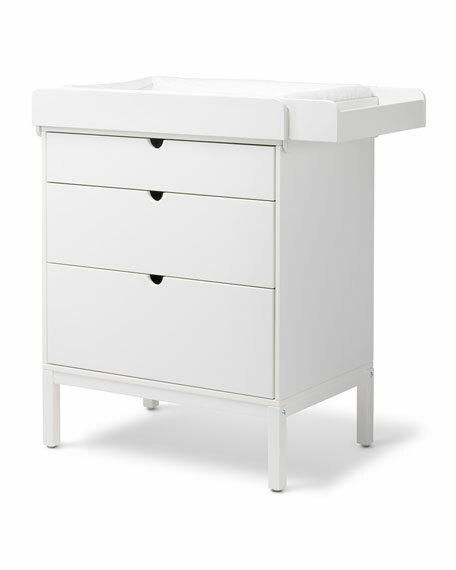 Stokke® Home changer with mattress. 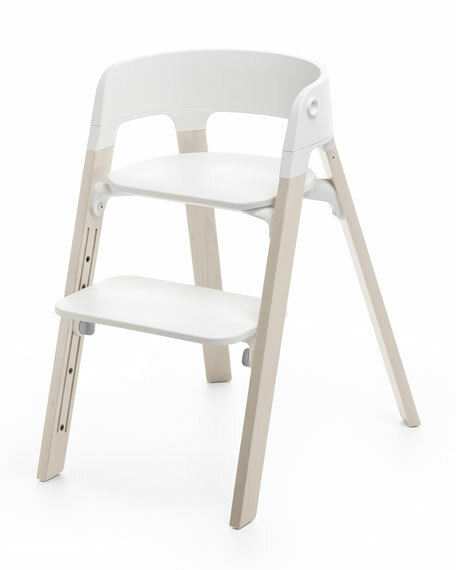 Can be used on top of the Home dresser, bed or cradle stand, and attaches safely to all components. 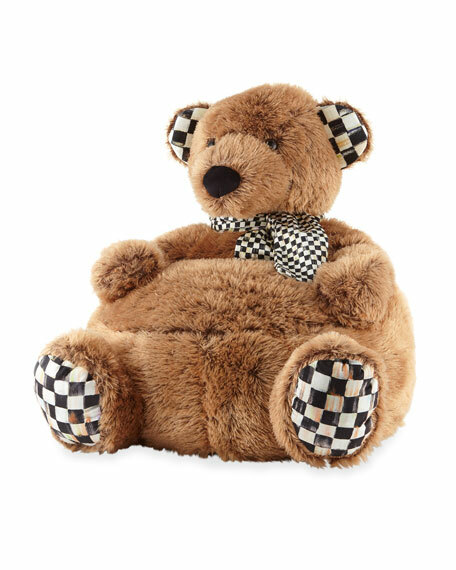 Protective sides and a padded mattress offer a safe and comfortable place to change your baby. Height of the changer encourages eye-contact and you can choose both a sideway or parent facing position depending on the base unit and room setting. Transforms into a play table by simply turning the changer upside-down and placing it onto the cradle stand. Includes changer top, padded mattress, and storage box. Approx. 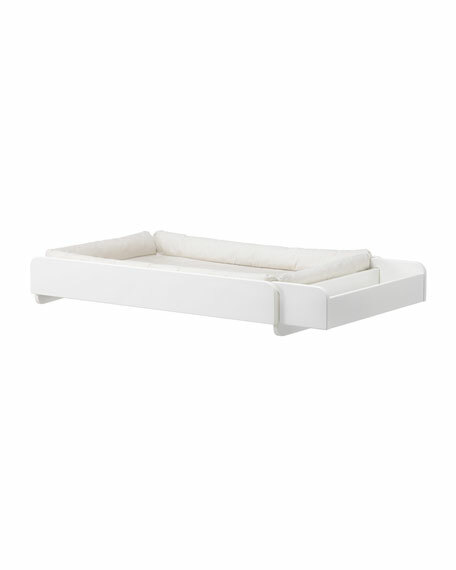 31"L x 6"H x 21"W.
Mattress cover: coated linen/cotton; fill: polyurethane foam and polyester.